Hormetic dose-response that involved Cd in soils is increasingly paid attentions for risk assessment of Cd toxicity, but insufficient studies were conducted to define the temporary modification of soil enzyme and the potential microbial responses. The present study chooses soil alkaline phosphatase (ALP) as endpoint to uncover the time-dependent hormetic responses to low doses of Cd and its association with bacterial community composition. The results showed that addition of 0.01–3.0 mg kg−1 Cd significantly increased ALP’s activities with maximum stimulatory magnitude of 11.4–27.2%, indicating a typical hormesis. The response started at 12 h after Cd addition and maintained about 24 h. This demonstrated that the hormetic response is time-dependent and transient. 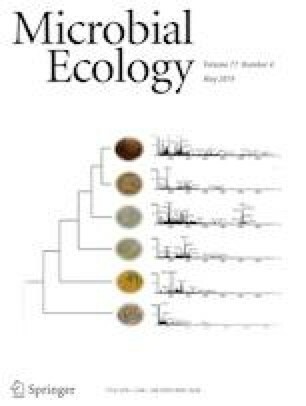 Changes of soil bacterial community composition showed that, at 6 h, relative abundances (RAs) of Proteobacteria and Firmicutes at phylum and Pontibacter, Bacillaceae-Bacillus, Bacillaceae1-Bacillus, and Paenisporosarcina at genus significantly correlated with ALP’s activities at 12–36 h (P < 0.05). This suggests that soil bacteria likely showed an earlier response to Cd and potentially contributes to the subsequent soil enzyme’s hormesis. In addition, it was found that Gram-negative bacteria other than Gram-positive bacteria are prone to exhibiting a hormetic response under Cd stress. Our findings provide much insight into ecotoxicological risk assessment for soil Cd pollution. We thank all the supporters of this article for their constructive comments. This study was supported by the financial support of National Natural Science Foundation of China (No. 41375149, No. 41471191), Qing Lan Project of Jiangsu Province (Qinglan2016-15), and Priority Academic Program Development of Jiangsu Higher Education Institutions (PAPD).